Juventus 2015-16 home kits is officially released on 1st July 2015 produced by Adidas, while the away and third kits are leaked which can be seen below. Juventus signed a big 6 year kit deal with Adidas last year and they will be producing italian champions Juventus kits for 2015-16 season for the first time. The new home, away and third kits made by Adidas has been leaked and it features a very traditional Juventus design with black and white stripes. The real pictures of the new Juventus home kit produced by Adidas has been leaked. There is nothing new in the kit as Adidas went with a classic Juventus home kit which is set to release on 1st July 2015. The new home kit features white/black stripe design with a white collar and three black adidas stripes on the shoulders. Team shirt sponsor logo of “Jeep” pasted on a rather dark box while the adidas logo is black with white shinning outline. 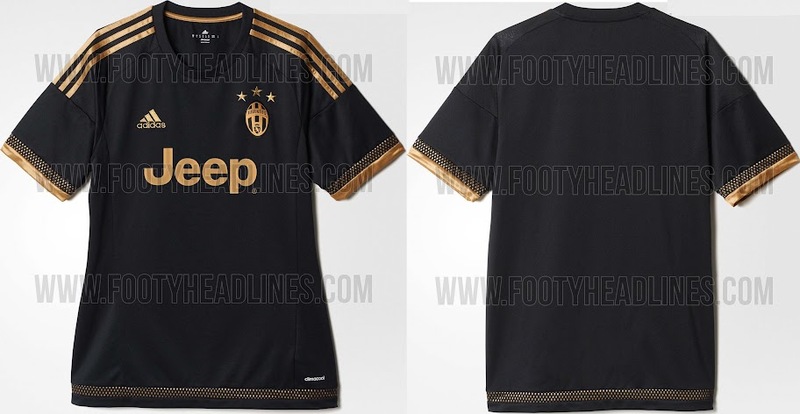 Shirt also feature three gold stars just above the Juventus logo. New design is based on Adidas Stripe 2015-16 template and it features stripes at the back as well while the players names and numbers will be on the white panel on the back of the kit. 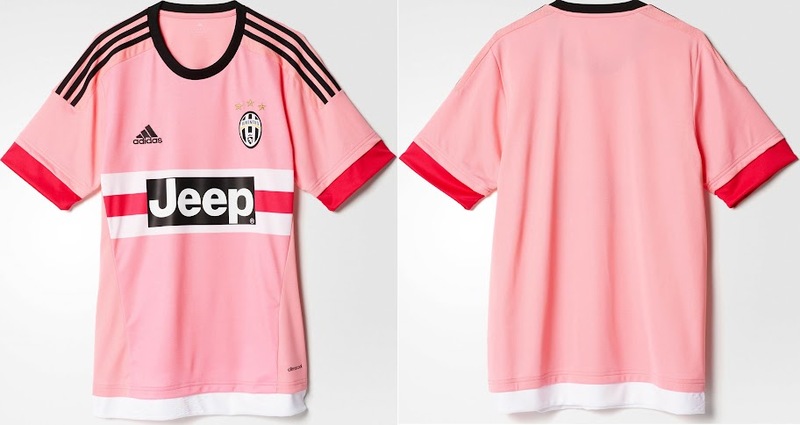 Juventus will have a unique pink away kit for next season while the third alternative kit will come in a new unique faded black to white style. The new away kit features pink colour with black/white/purple applications across the shirt. 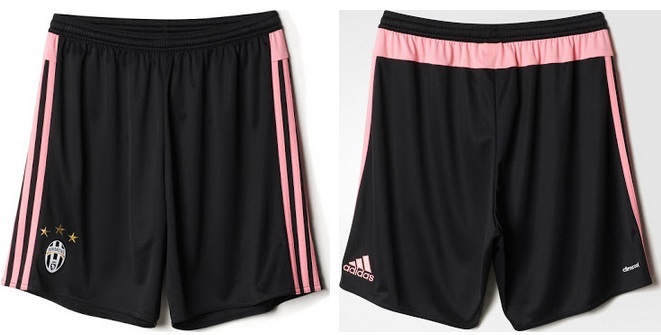 Adidas stripes will be black along with small round black collar. While the graphic behind shirt sponsor logo “JEEP” will be in white and purple colour. Juventus third (alternative away kit) will feature a unique black design with golden application making it one of the best kits this season. Third kit will only be used in Champions League away matches.